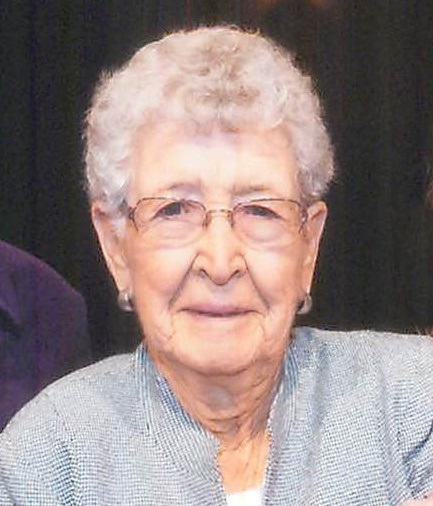 Mary Louise (Lawrence) Dawson passed from this life on Sunday, January, 20, 2019 at the age of 90. The fourth of five Lawrence children, Louise was born April 23, 1928 in Logan,, New Mexico to John and Onnie (Alexander) Lawrence. Louise graduated from Logan High School in 1946 as Valedictorian of her class. On June 2, 1946 she married Bobbie Wayne Dawson in the home of her parents, near Logan. Their marriage was blessed with three children. They began their lives together near Logan, New Mexico, then moved to Grove, Oklahoma and Canyon, Texas, before moving to the Oklahoma panhandle, west of Wheeless, in 1956. In 1962, they purchased what was known as the Dawson Ranch, near Lake Carl Etling. Besides helping Bob on the ranch, Louise drove a school bus for the Wheeless and Boise City School Districts and she worked at Coly's Supermarket and First State Bank in Boise City. They also had a beef processing business at their ranch for several years. Louise loved to work in her yard, flower beds, and vegetable garden. She was an excellent seamstress, assisting her daughters as they made their 4-H projects and with other sewing needs. Later on, she made several quilts. Louise was active as a 4-H leader as well as in church and community activities in the Wheeless and Kenton communities. After their children left the nest, Louise and Bob enjoyed square dancing. They hosted many Dawson and Lawrence family reunions at both Lake Carl Etling and Camp Billy Joe. Everyone loved to stop by the ranch to visit. They enjoyed showing guests about ranch life, allowing them to join in whatever the work of the day happened to be. Many young relatives came to spend the summer with Louise and Bob, where they assisted with the cattle work, branding, building fence, kitchen, household, yard or garden work. They never realized how much they were teaching these youngsters, allowing them to work by their side. The youth didn't realize how beneficial it was until they were on their own for several years, then would reflect back on what Louise and Bob had done for them. Louise was preceded in death by Bob in 2009, her parents, brothers, Franklin and BJ Lawrence, sisters, Edith Lawrence and Joyce Brown. Left to honor Louise and remember her love are her three children: Harold (Judy) Dawson of Boise City, OK, Linda (Alan) Whitt of Bremerton, WA, Pat (Rodney) Hern of Wakita, OK; six grandchildren: Shane (Janie) Dawson, Misty (Mike) Dawson Crain, Michele Whitt, Shawn (Caitlin) Hern, Julie (Brent) Whitt Hamlin, and Dan (Shara) Hern, eleven great-grandchildren, many nieces and nephews, and other family and friends. Viewing will be Thursday, January 24th from 10:00 AM - 7:00 PM at Henson-Novak Funeral Directors, Boise City, with the family being present for visitation from 5:00-7:00 PM. A Memorial Service for Louise Dawson will be held Friday, January 25, 2019, at 2 p.m., in the St. Paul's United Methodist Church, Boise City, Oklahoma. A private family interment will be held in the Kenton Cemetery. Memorials may be given in memory of Louise to the Kenton Methodist Church, Kenton Museum, Kenton Senior Citizen's Center, or donor's choice, in care of Henson-Novak Funeral Directors, P.O. Box 1306, Guymon, OK 73942.